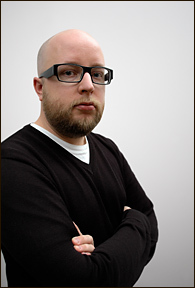 Eric Karjaluoto is a founding partner of the digital agency smashLAB. He has directed projects for groups including CN, Tourism Vancouver, and Canadian Heritage. He is a strong advocate of strategy and pragmatism in design. In 2007 he spearheaded Design Can Change, an effort to unite designers and address climate change. The team at smashLAB has also launched the online community MakeFive and a crowdsourced design and marketing site called undrln. TIME, the Lotus Awards, and ICOGRADA have recognized his work; meanwhile, the agency has been featured in The Globe and Mail, The Vancouver Sun, and Studio 4.